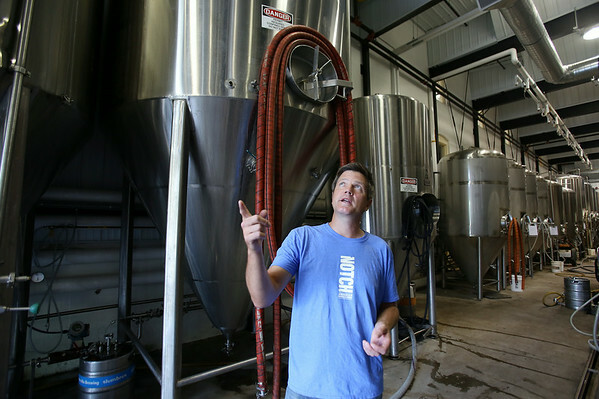 Salem native Chris Lohring is the founder of Notch Brewery Company and is planning on building a brewery and moving his company into Salem. Lohring talks about the beer making process inside the Ipswich Ale Brewery, where Lohring and Notch currently brew their beer. DAVID LE/Staff photo. 8/1/14.